Another one of my beads made into a beautiful piece of jewellery by a very talented jewellery designer. 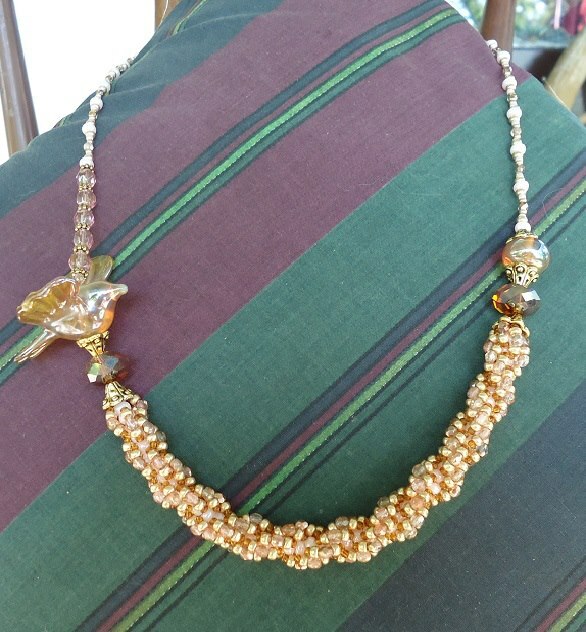 This time it was one of my bird beads used by the lovely Jayne Boynton of Ooak Indulgence & made into a gorgeous necklace. It's lovely to see my beads being used by others & to peek at what they have made from them :) .